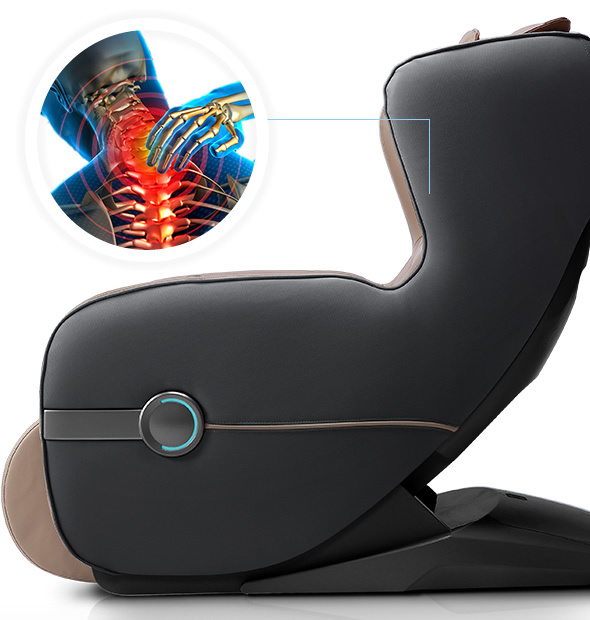 The new Komoder KM300 massage chair is equipped with intelligent 3D mechanical arms which can massage your back, neck, and lumbar area. This massage chair is perfect for apartments or small spaces because the legrest can be conveniently folded under the chair when the chair is not in use. Or you may rotate it to rest your legs when you’re sitting in the chair. 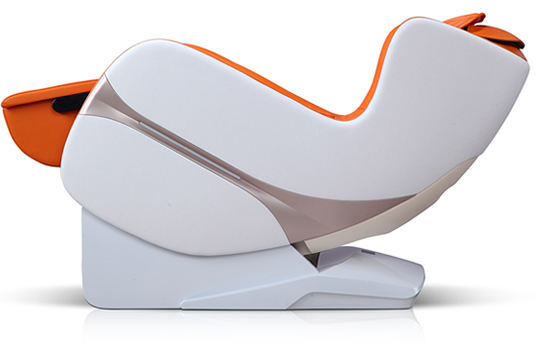 The legrest is equipped with airbags for calf massage and foot massage (reflex therapy). Relieves back fatigue, strengthens muscles. The maximum stretch space is 6.5 cm and the maximum stretch angle is 41º, so that the mechanical hands can perform an effective massage of the cervical, thorax, and lumbar vertebrae. This method ensures a strong, invigorating back massage comparable to the type of massage performed by a professional massage therapist. Music system. Embedded speakers. No need to run any cables across your room. You can use a smartphone or tablet to play music. Connect the chair to your phone, tablet or laptop computer via Bluetooth. 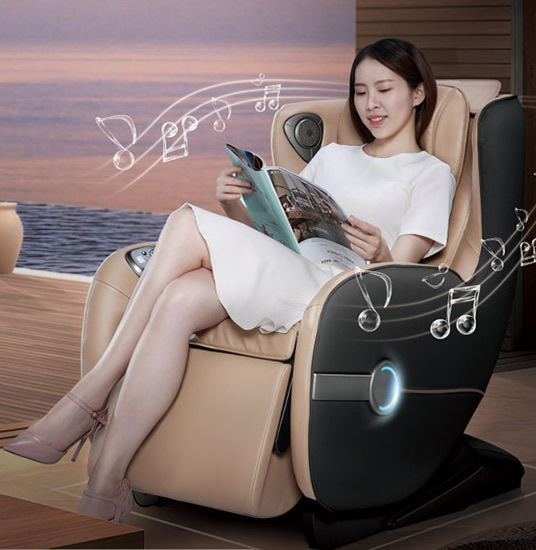 The massage chair is equipped with a set of speakers embedded in the backrest, and via the Bluetooth link you can listen to your favorite music straight from your mobile phone. Zero Gravity. Total relaxation. Pain relief. 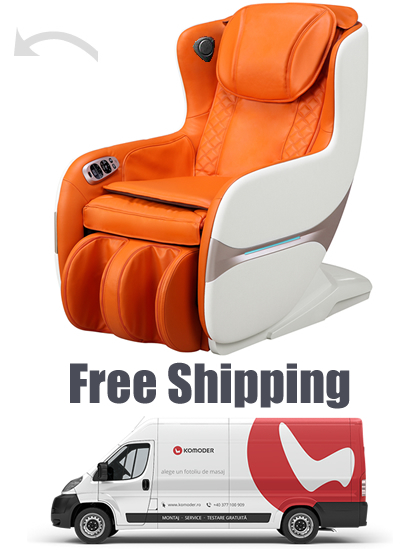 The massage chair is designed with a leg air pressure massage function. 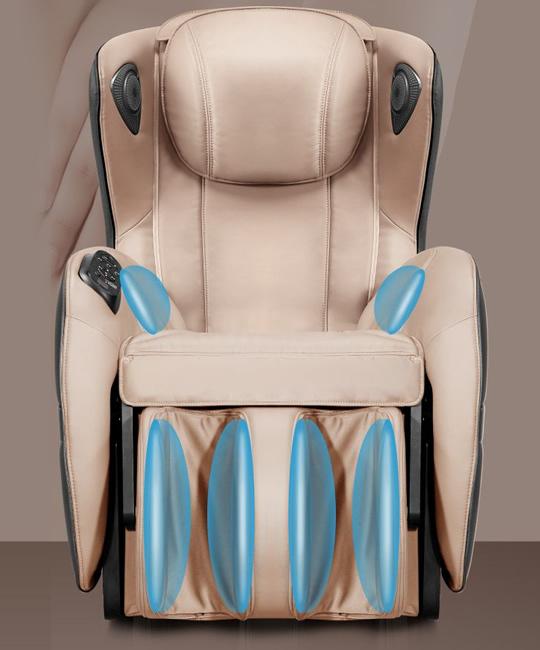 The Komoder KM300 offers a complete massage experience for your calves because it comes with an air bag massage capability. Use the Zero Gravity feature for an ideal massage position. Easy and convenient to use! 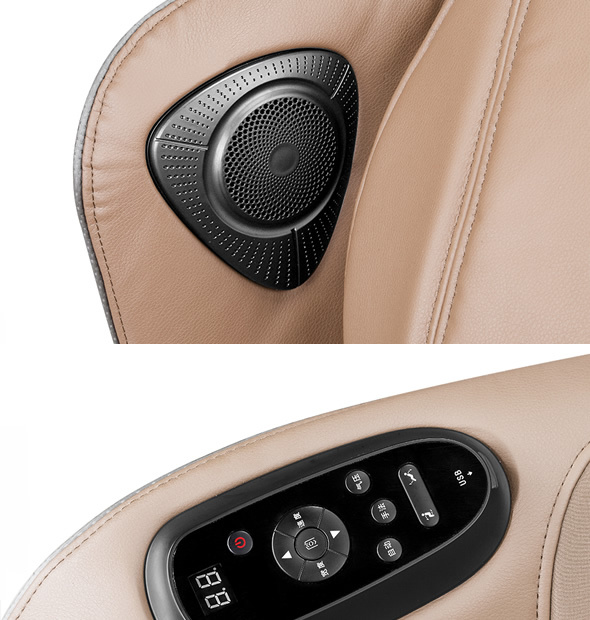 The new KM300 massage chair also allows easier access to buttons for the leg massage system. You no longer need to stop amid a massage to change the program. You can stop the chair any time in the desired position in order to relax or watch TV. The KM300 is equipped with a USB port to charge your smartphone or other devices. Strong or delicate 3D massage. 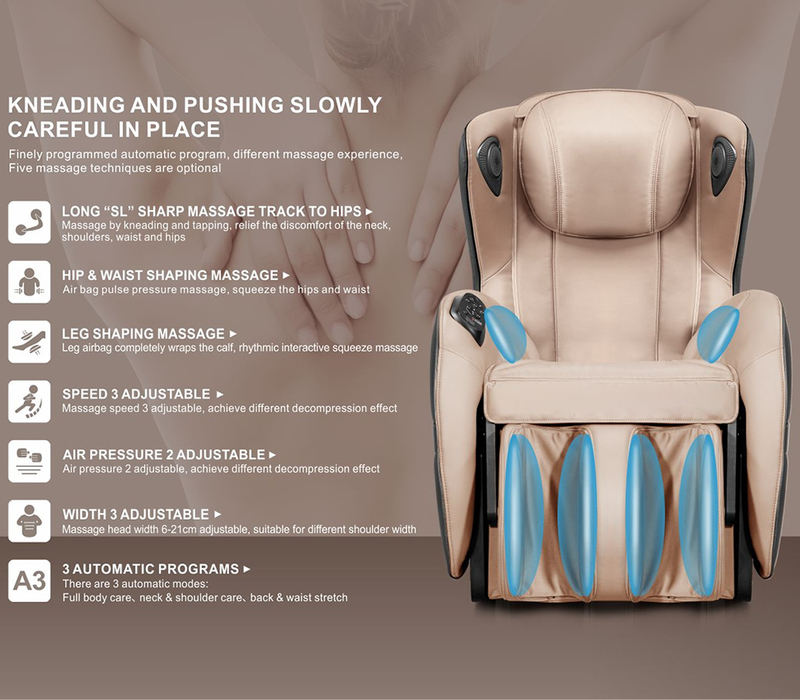 Whether you are looking for a quick full back massage, which will restore your energy in a matter of minutes, or a delicate massage, the KM300 is the right choice for you. Rubbing, squeezing, tapping, pressing, gripping, grabbing, twisting, and scraping. You no longer have to take off your shoes. 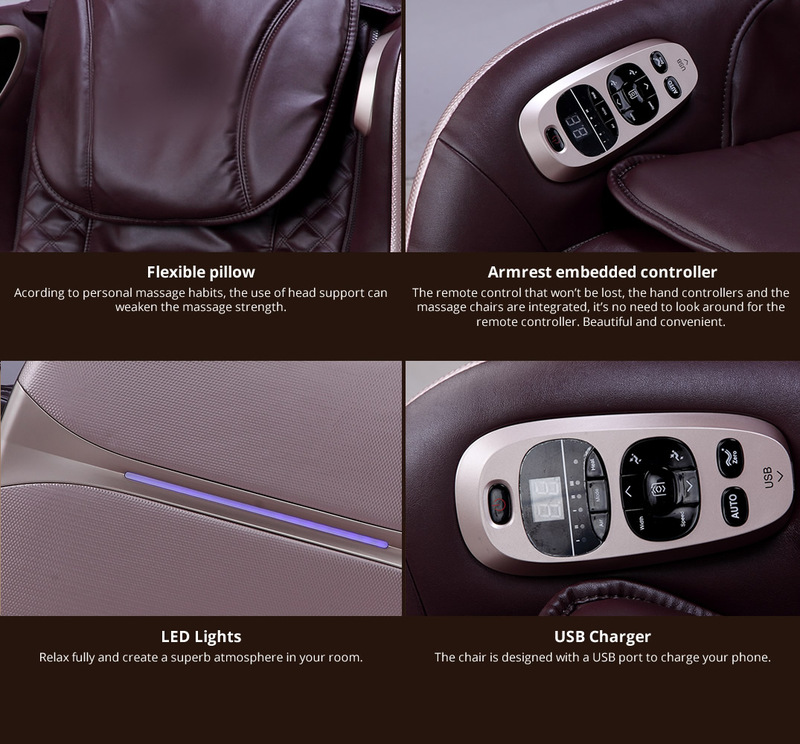 The massage chair is easy to use and comes with a specially designed legrest which allows you to simply sit down in the chair.